From the "Professional" range these new improved, superior quality side cutters feature double leaf springs and purple soft foam grip handles for comfort and reduced fatigue when using for prolonged periods. They are highly polished and have angular jaws for closer cutting. 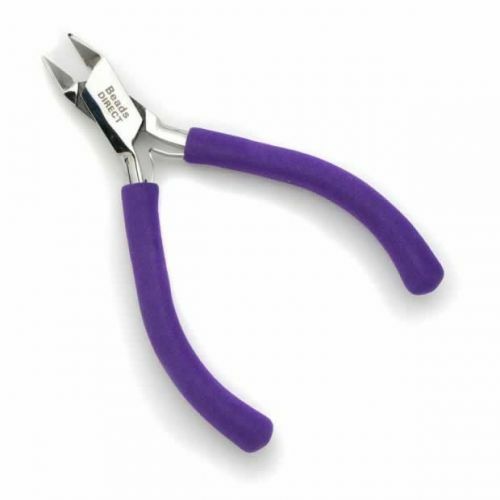 Also known as diagonal cutters or nippers, these side cutters cut soft to medium wire. CommentCut wire well. Comfortable to handle. CommentVery good quality and easy to use. CommentYour tools are of a better quality. CommentExceptionally good product and swift delivery. CommentAlready have one of these, but as price was reduced bought another as use so much. Commenti wish I'd bought these sooner - they make it so easy to finish off wire wrapping neatly. CommentNice slim blades for accuracy. CommentVery easy to use and just what I needed. CommentThey are great tools and They cut good.